Feel the Love blog hop is going on today. If you haven't been hoping you're missing out you must go on over to Jamie's blog here at Glitter, Stamps and Paper, Oh My! Leave her some love...she'd love to hear that you were there. You can tell her you came from here if you'd like. You can become a follower here as well. I have many things in store ahead. Now onto my card for the "Feel The Love". I just thought this was so adorable. I was designing in Cricut Design Studio and was putting cuts to the virtual mat and this is kind of the way they fell when I flipped one. I thought oh I have got to do this. Thanks for looking and stopping on by. 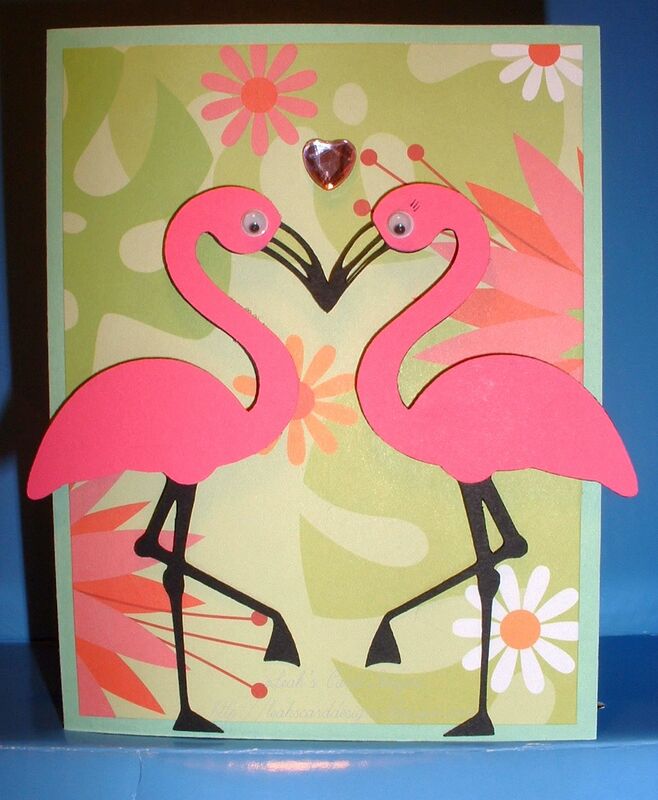 Love the two flamingos together Leah! Looks great!